Summer’s heat makes me lazy in my bones. That’s why ice pops are quickly becoming my favorite warm weather treat. 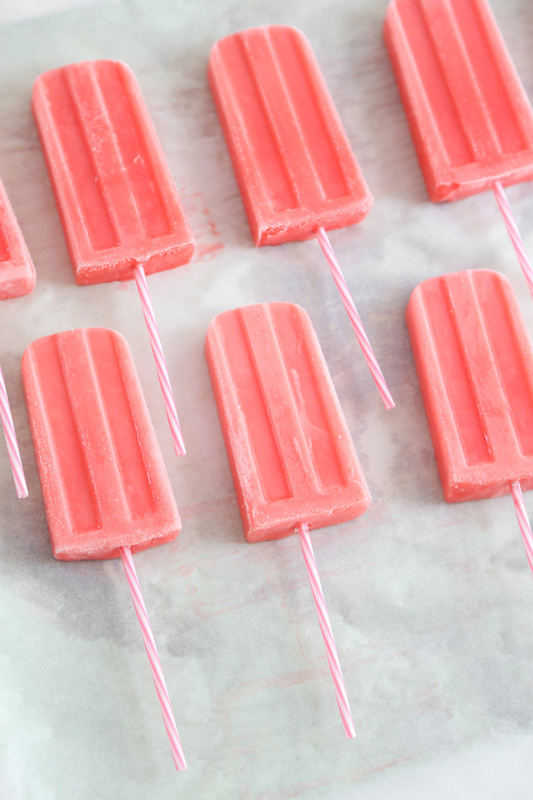 These Strawberry Milk Ice Pops are so quick to make (nostalgic, too!) 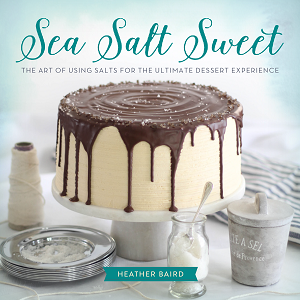 and the recipe only uses five ingredients. I couldn’t resist dipping these in white chocolate and pastel confetti sprinkles. 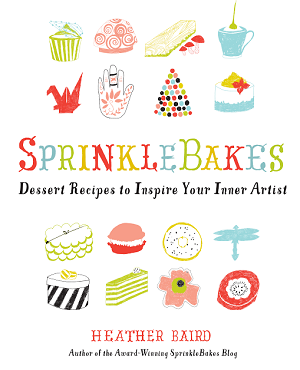 In fact, I've never made a strawberry milk -inspired treat without sprinkles! 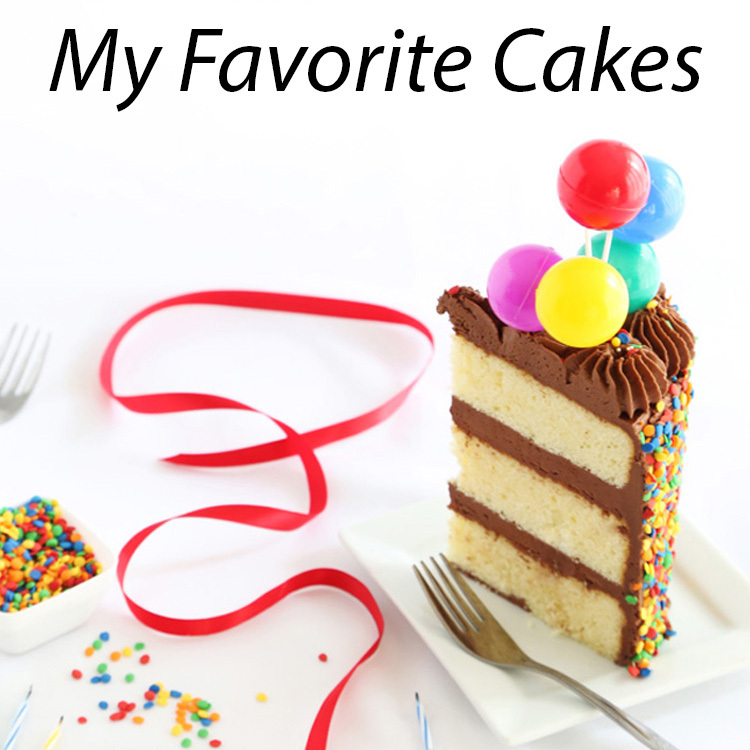 You may remember this cheesecake with a sprinkled crust, or these whoopie pies with a swirl of nonpareils on top. It's my personal favorite equation: Strawberry Milk + Sprinkles = Happy. 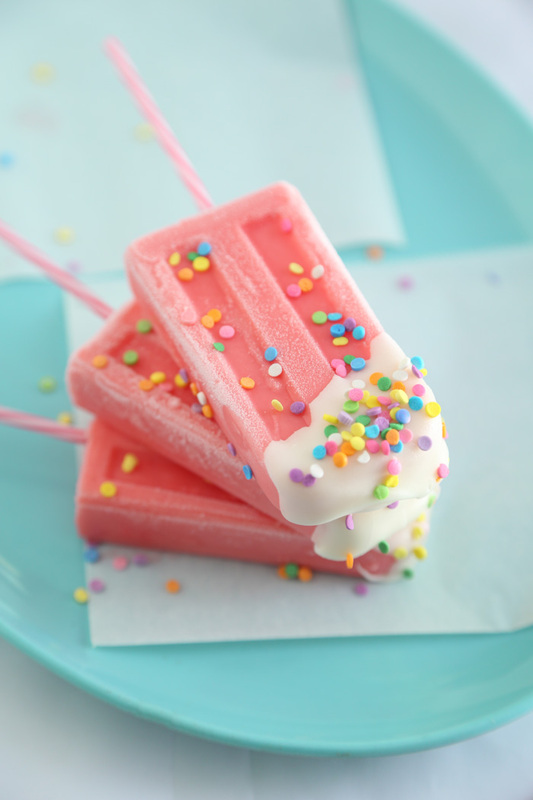 To make these you'll need an ice pop mold of some sort. I used this style, but you could also pour the strawberry milk mixture in 3-ounce plastic cups. If you go the cup route, just cover the cups with foil and insert a pop stick through the foil. After freezing, you can remove the ice pop from the cup by submerging the bottom of the cup in hot water for about five seconds. Pull on the stick and - tah-dah! 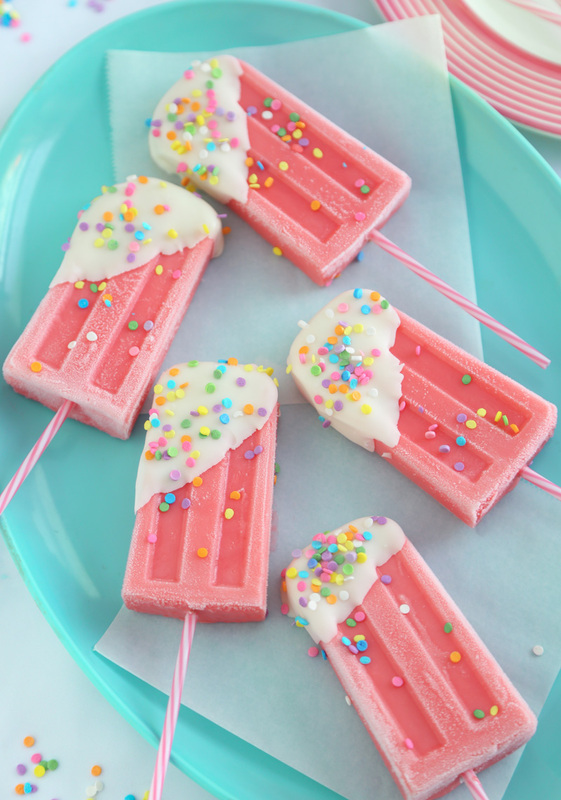 These pops are made with a combination of strawberry syrup, nonfat milk and cream. This trio creates the most deliciously creamy and authentic strawberry milk flavor in frozen form. 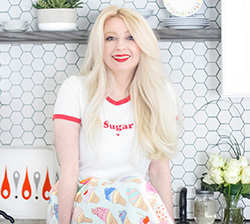 The super cute ice pop sticks are actually cake pop sticks that Angie (a.k.a. Bakerella) sent me from her Make 'n Mold line! They are perfect for these ice pops because they are 7-inches long and very sturdy. You can find them for purchase here. Combine the skim milk, whipping cream and strawberry syrup in a 4 cup measure with a pour spout. Mix together until well combined. 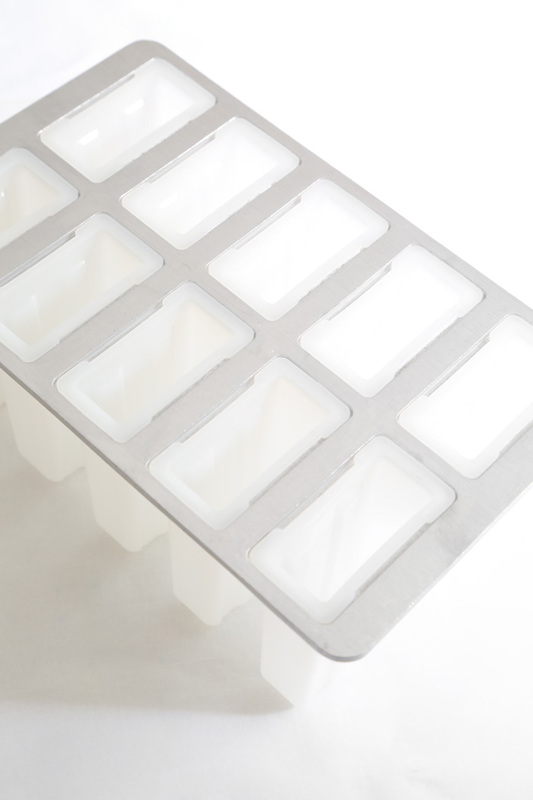 Pour the mixture into each of 8 ice pop molds and over; insert ice pop sticks upright and place in the freezer. Freeze until solid, about 4-6 hours or overnight. If using round ice pop sticks with a mold as I did, the sticks will not go through the slits in the manufactured lid. You’ll need to cover the ice pop molds with aluminum foil and push the sticks through the foil so that they stand upright. Freeze until solid. Melt the chocolate or almond bark in the microwave at 30 second intervals. Let cool until barely warm but still pourable. 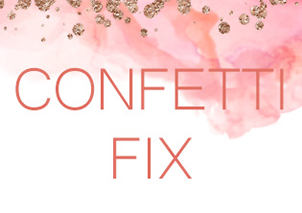 Dip each ice pop in the chocolate and immediately sprinkle with confetti decors. Store ice pops wrapped in waxed paper in the freezer . Perfect cookout dessert, creamy but light and refreshing! I love this simple popsicle recipe. I love the white chocolate dip and the sprinkles, too. Great presentation. These are so pretty and I bet they taste amazing too! So refreshing! I need one now!